Fall has come and past in the Northwoods. Most of the wild places in the north are now silent, covered in layers of snow and ice. Fall is a time of exquisite beauty as the colored leaves transform even the most mundane of landscapes into something extraordinary. Undoubtedly, it is an incredible site to see a hillside in Appalachia covered flaming oranges and reds, or the reflection of golden aspens on a river with large snow-covered mountains in the background. However, fall is also beautiful at a smaller scale. Indeed, the mosaic of colors while peering into a thick forest, or the yellow and green of the marsh grass, or the beauty of the sunlight weaving its way through the canopy and illuminating the colors below can warm even the hardest of individuals. Here is my poor attempt to capture the beauty of fall at this “small scale”, I hope it stirs the same emotions in you as it did in me when I took the photographs. Tom, you are truly a gifted photographer. The colors are really vibrant and show how beautiful simply plants in nature can be. 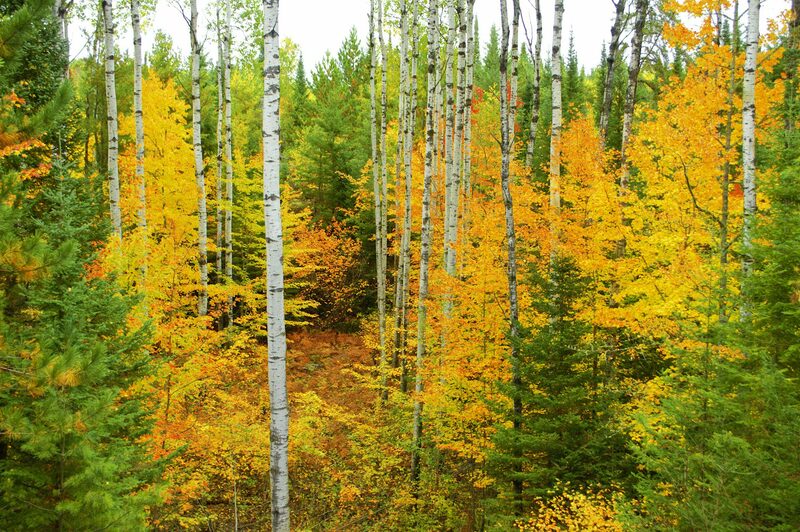 Fall is beautiful everywhere, but your Northwoods photos are spectacular. Fall is problematic for me. Everywhere I look I see beautiful photos! Nice job capturing the true essence of this microcosm. The colors and textures of the foliage and grasses are stunning. Beautiful photography. There are few things that touch on the spiritual more than the fall colour change. I’m so glad you included some grasses. Fall foliage is delightful, but the colors and shapes of the changing grasses are equally beautiful. Indeed they are. The grasses in the marshes turning color are a sure sign that fall is here! Thanks for stopping by! Fall (or Autumn as we call it DownUnder) is always a special time of year and beautifully captured in your images. Please tell me you have a wonderful place to purchase prints of your work. Unfortunately I do not, though I do wish I had a way to do that and sell them to people who are interested. Sadly, my life as a PhD student takes up almost all my time as it is! Well, I’ll enjoy your work as you post. Wishing you the best on your ventures. Thanks much for your kind thoughts!! Thanks for these images strongly reflecting what we last saw in our north woods spot before heading back to St. Louis in October. The indescribable peace, beauty, and solitude lingers through the winter and draws us back in the spring. I am glad to hear that these conjure up the feelings of the northwoods for you and I appreciate you checking out the post. The northwoods are a special kind of place!